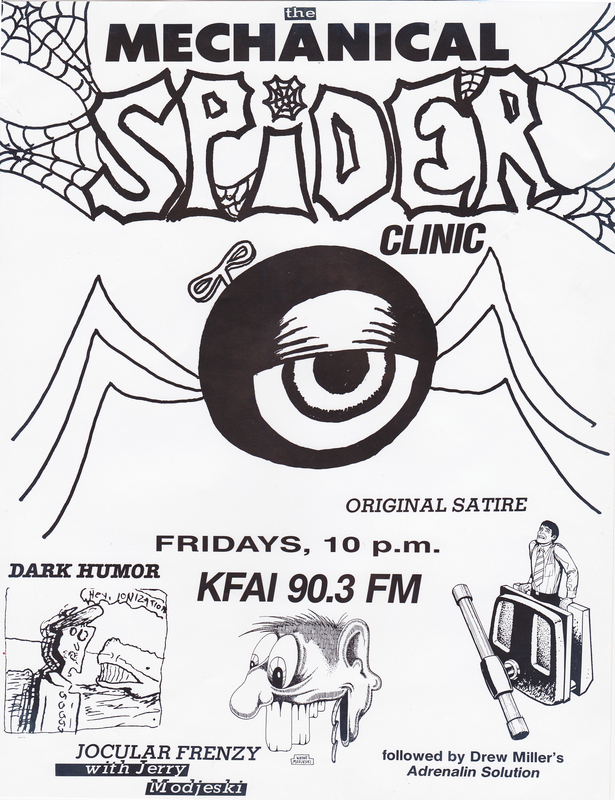 The Mechanical Spider Clinic aired on KFAI Minneapolis-St. Paul 1985 to 1987. Skits imagined Mickey & Donald visiting apartheid South Africa; soft-spoken, paranoid Mr. Rogers expecting the worst of his neighbors; the flatulence of Sherlock Holmes. 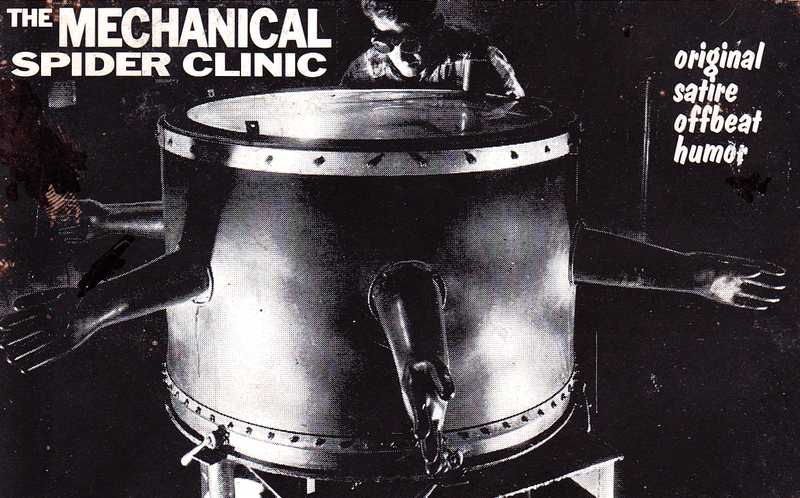 MSC featured wacky ads for products like Liquid Executioner. MSC mocked movies (To Have and Half Crocked), TV (The Schlockford Files), and old-time radio dramas. Captain Bamboo Steamer the sailor of “fists the size o’ two bunk beds” concealed them until needed, with frisky first-mate Tugg Neato (pictured). 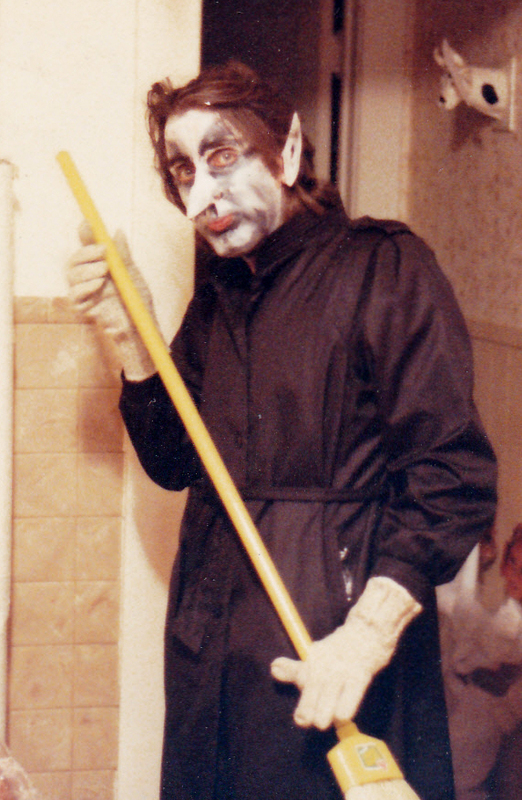 On Life With Lazlo Morbid (photo), he “could be lurking right next door to you.” Squares stomp out Jimmy & Tommy’s swing in Earth Versus The Flying Dorseys. 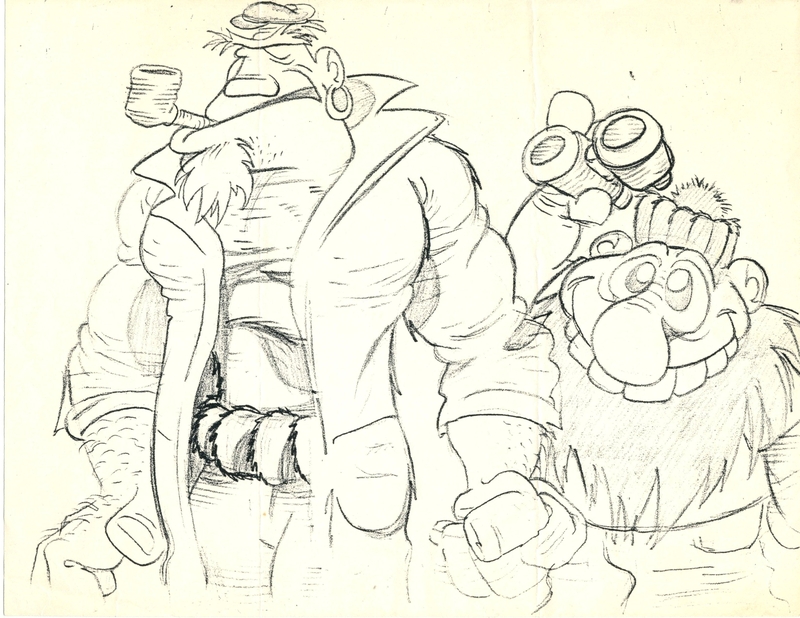 Delusional, possibly dangerous commandos of The Scuba Patrol wielded an unlimited supply of weapons waging wars against Count Dracula and Santa Claus, mobilizing the replica of a dentist office for Leonard, The Trampoline That Attacked North Dakota. MSC concocted consumer advice, and concluded with “…previews for television unlike you’ve ever seen backed by eerie electronic wailings, they run down the best picks in a barrage of wordplay.”- Mike Gunderloy, Factsheet Five magazine review of TV Guise (1988 cassette compilation). MSC Volume One: The Drooling Angst Pit / Consumer Survival Biscuit / Lazlo Morbid / Hot Rods From Outer Space! / Skogmo / TV Guise / and more! MSC Volume Two: Thundering Meat DNA Restructuring Powder / Consumer Survival Biscuit / Lazlo Morbid / Mechanic Clinics / Skogmo / I Know All the Faces / Mr. Rogers’ Rear Window / TV Guise / Open Wound BBQ Sauce / Magic Gesticulations Shampoo / Ken Dresher’s Room For Rent / The Blue Weasel. MSC Volume Three: Glandma’s Cookies / Consumer Survival Biscuit / Lazlo Morbid / Polkas From the Heartburn of Kitchenspace / To Have & Half Crocked / TV Guise / The Elvis Styling Kit / Uncle Ron’s Summit Pump / Grandpa Ravi’s Tackle Pal / Hook,Line & Sinker / Long Distance / G.I. Frothing Joe / Bomb Theater: The Tar Baby Brigade / Stout Eddie’s. MSC Volume Four: Judd Mastoid, Midget Auto Race Car Mechanic / Spin-Around Hank’s / Skogmo / Wally Indemire / Perry Mason / 13th Floor Elevator / The Clever Rodent Cafe / Bomb Theater: Young Man with a Golden Tuba / TV Guise. MSC Volume Five: Digital Ernie’s Hoopla Generator / Lazlo Morbid’s Parasite Home Companion / TV Guise / Horse of Ether / The On Me Theater / D.W. Ivan’s / Bomb Theater double feature: Sherlock Holmes Vs. The Spider Lady, and Taraunchyla!